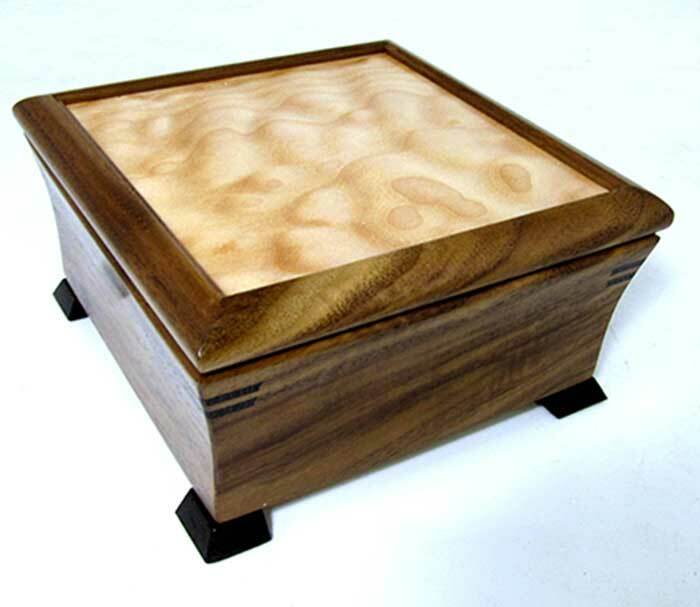 Exquisite handmade wooden jewelry box by Mikutowski Woodworking in African bubinga (shown) with a maple top, wenge accents and a wood inlay design on top. (Inlay design may vary based on artist's choice.) Top section features hand polished brass necklace racks and a silk pouch in the lid and a self-rising jewelry tray with removable compartments. 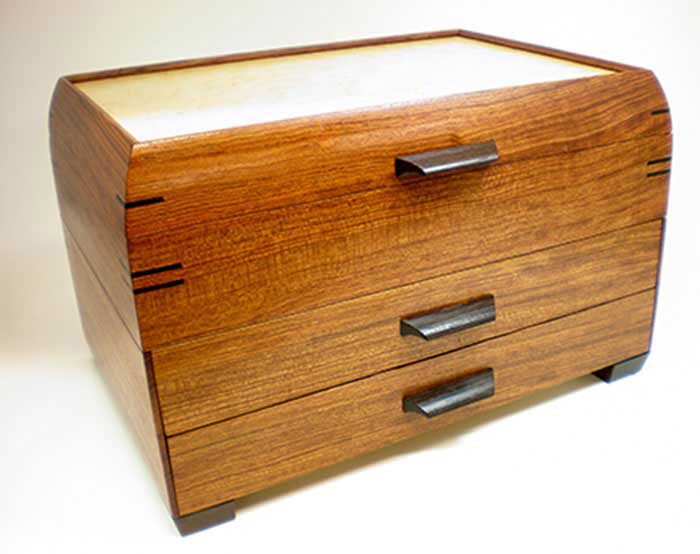 The two drawers are set up to hold extra rings, bracelets and watches, as well as special brooches and pins. Also available in birdseye maple, cherry and purpleheart. Size: 13.5" x 9.375" x 8.5"